Ticket Bazzar is a simple movie ticket booking app that maximizes bookings and occupancy by allowing customers to book and pay quickly and easily. This is an awesome application for Theatre Box office Reservation and is flexible depending on your requirements. The integrated Ticket Bazzar application can improve insight and marketing as well as save time and effort by automating customer communication and decrease manual admin tasks. 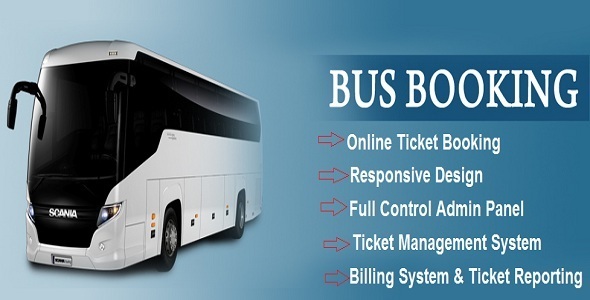 Online Bus Reservation System is designed to automate the online ticket purchasing through an easy online bus booking system. Embed our online bus ticketing system on your website and enable your customers book tickets for various routes and destinations using. With the bus ticket reservation system you can manage reservations, clients data and passengers lists. A proffesional support ticket system built on the Twitter Bootstrap framework.